I have a Toshiba Satellite L455 and it is giving me CMOS battery errors when booting up. The date & time returns to 2008 with every booting and asks for pressing F1 to continue. I opened the laptop and I think I found the CMOS Battery but seems to be not the regular size and welded to the motherboard. How can I replace it or avoid the F1 key process every time I turn the laptop on? 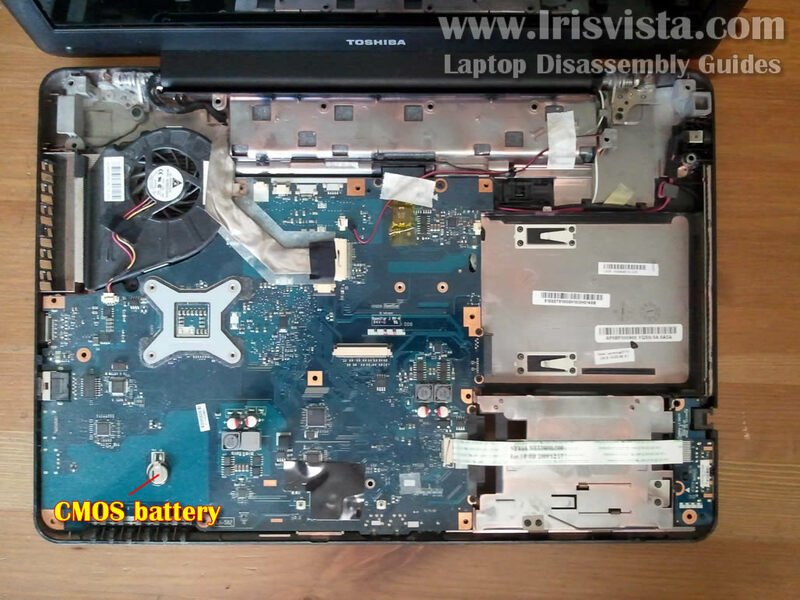 Per this guide I found online the CMOS battery is indeed soldered to the logic board Toshiba Satellite Pro L450, L455, L450D, L455D disassembly. And, here's the location from the guide: CMOS Battery for reference. With a desolder pump and/or solder wick you should be able to remove the solder to remove the battery. But you will need to completely remove the logic board to get to the other side to complete the desoldering and reshaping the legs so they can pass though the logic board (be careful you don't damage any of the neighboring components or traces in the process). Once you have it out see if you can identify the battery. If you having a hard time paste a good collection of images of it so we can see the markings and if you can place a ruler beside it so we can see the size (height & width). Without replacing the battery you will encounter system reset issues as you have noted. While this is not a hard job to do it does require a lot of work. Do you have the right tools and work area (proper ESD protection). If not you might want to find a local repair shop. Dan: Thanks for that helpful information. I wonder who at Toshiba had the bright idea to solder the CMOS battery onto the motherboard? I will never recommend Toshiba to any of my customers, friends, or family.